Caroline Byrne used her first semester at Mount St. Mary’s University as an opportunity to try different things, not always making the best choices. Her faith background, which included Sacred Heart School in Glyndon and then Mount de Sales Academy in Catonsville, was sound, but as a young adult, she was unsatisfied with her spiritual life, she said. As the end of her first semester in Emmitsburg, Byrne registered to attend SEEK – a five-day biennial Catholic conference sponsored by FOCUS, the Fellowship of Catholic University Students, an organization which has 700 missionaries on 153 campuses in the United States and five countries. Three of those campuses are within the geographical footprint of the Archdiocese of Baltimore: the Mount, Towson University and the U.S. Naval Academy in Annapolis. With the help of its missionaries and other students involved with FOCUS, Byrne came to devote herself to God. 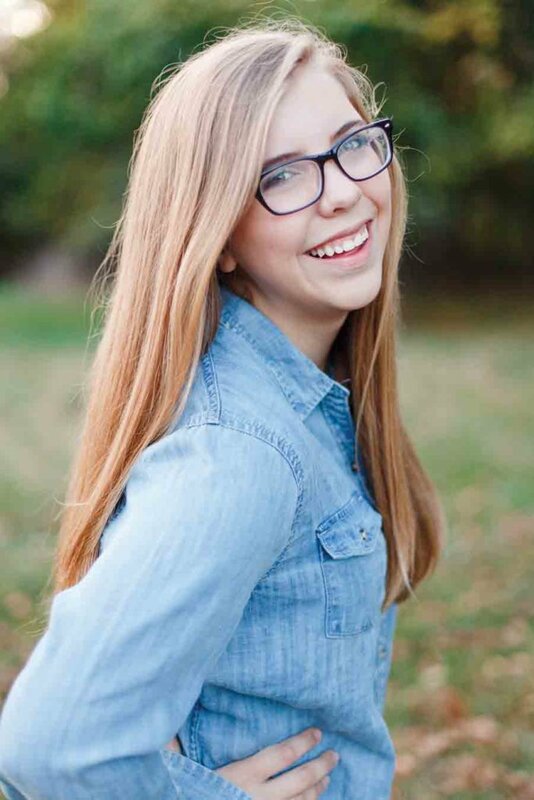 Her sophomore year, she said, was one of learning and receiving; praying with Scripture was pivotal in her “transition of heart” and in developing a personal relationship with God. Byrne wanted to share that feeling and teach others about God’s love. As a junior and senior, Byrne led FOCUS Bible studies for female underclassmen. As her May 2016 graduation approached, she was encouraged by a FOCUS missionary to apply for a full-time position with the organization. Most FOCUS missionaries are recent college graduates; some are married, with families. “As long as you’re called to the mission, you’re called to the mission,” Byrne said. A FOCUS missionary makes a two-year commitment to go anywhere there is a need; it can be extended on a yearly basis. If not married or engaged, the missionary must participate in a one-year dating “fast” – a break from dating or romantic relationships. If one is in a serious relationship, it requires taking a step back. 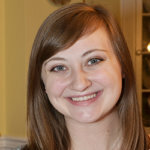 Byrne, who was engaged before she started mission work, was able to stay close to home and fill a need at Towson University. 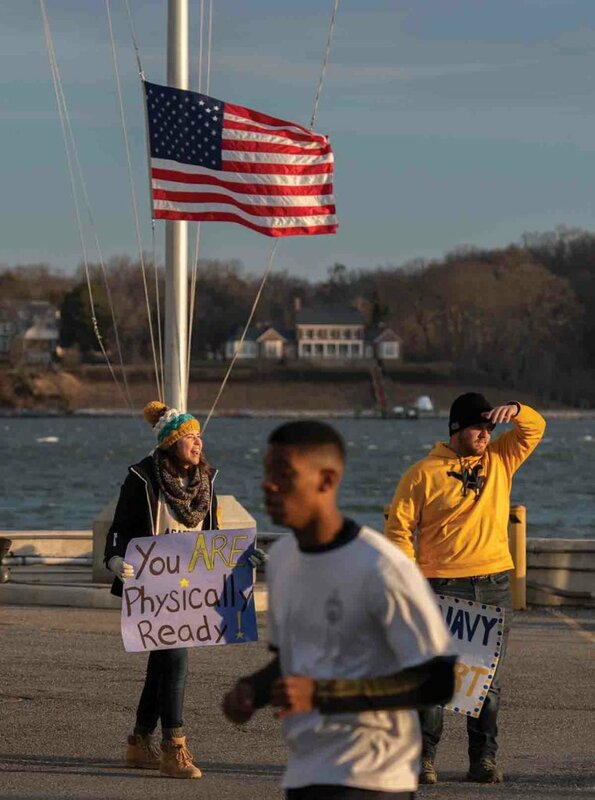 Now she is in her second year as a missionary at the Naval Academy, where her assets include familiarity with the military life, as her husband, Dan, is an officer in the Maryland National Guard. FOCUS missionaries have anything but a 9-to-5 job. For Byrne, a typical day includes a holy hour; a “power hour,” which includes walking the Academy grounds while praying the rosary; team meetings; one-on-one meetings with members of the Brigade of Midshipmen; prepping for events; and evening activities, such as the Catholic Midshipmen Club and Bible studies. It is a full-time job, one that includes benefits and a salary – albeit one fundraised entirely by each missionary. 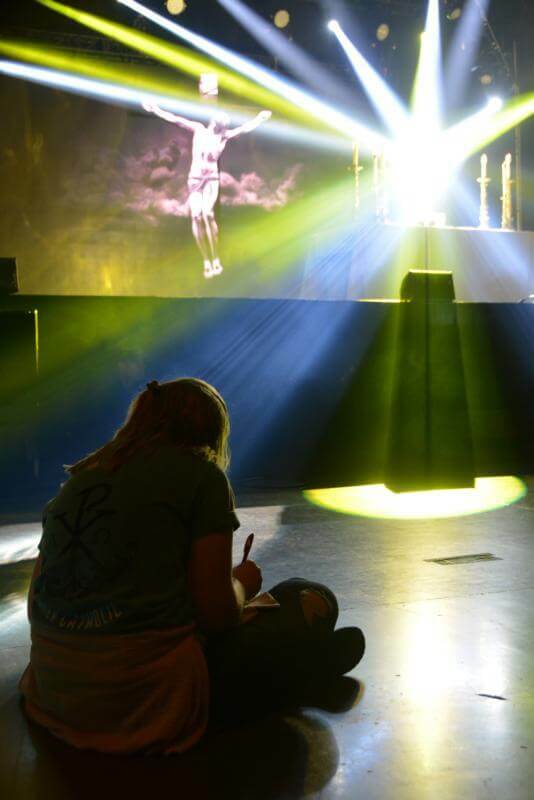 FOCUS targets its evangelization on college campuses, as students generally have ample free time, are open-minded and are questioning seemingly everything. “They’re making decisions that are affecting their life and their future,” Byrne said. Missionaries work in three waves: win, build and send. “Win” involves creating authentic friendships with students: saying hello, grabbing coffee, going for a run or hitting a Zumba class. “Build” focuses on smaller group catechesis: prayer, Bible study and entering into one-on-one discipleship, where a missionary mentors a student through conversations. “Send” comes when mentored students reach out to their peers. For many, it is natural to want to share with others, as Byrne did. FOCUS follows a model of multiplication: rather than one person who can reach many, a few touch a few more on a more personal level. “You will reach the campus and the world faster and more effectively,” Byrne said. Towson has an advantage in the Newman Center, which acts as a home base for missionaries and a place for chance encounters. Emily Winner attended the first Mass of her freshman year at the center; it was also her first encounter with FOCUS missionaries. Winner was not involved in evangelization efforts before FOCUS. Now, she is in discipleship with a missionary and leads Monday night Bible study. Father Matthew Buening, the Catholic chaplain at Towson, said the FOCUS missionaries are of great assistance, especially with outreach. “(They) scoop up people (who would) run away if they saw me walking towards them,” Father Buening said. 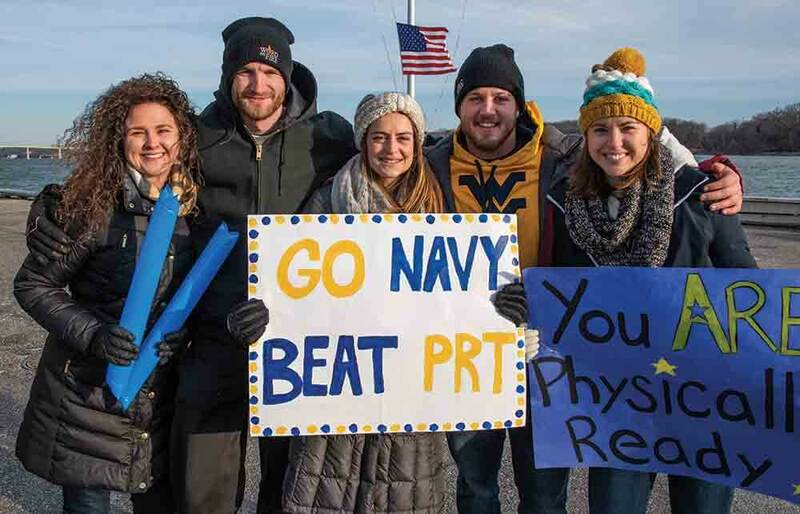 The Naval Academy’s structure requires more creative evangelization. Missionaries are not allowed to eat with midshipmen in Bancroft Hall, which maginifies the simple act of bringing them a meal from off-campus. Missionaries not only braved the elements to cheer them during a physical readiness test (PRT) the frigid morning of Feb. 9, they fueled them the night before with a pasta dinner. According to Byrne, midshipmen who share their valuable free time with missionaries are ones who truly want to deepen their faith. Thirty-six percent of the approximately 4,500 midshipmen identify as Catholic, typically the largest denomination at the Academy. While 70 percent of Mount St. Mary’s students are Catholic, not all are active. Claire Whitehead is the FOCUS team director at the Mount, after serving two years at the U.S. Military Academy. While the service academies attract men and women who must fulfill a service commitment upon completing a degree, the Mount draws a variety of students in a liberal arts environment. Whitehead was among the Mount missionaries accompanying more than 80 of its students to the SEEK conference in Indianapolis Jan. 3-7, which drew approximately 12,000 students. “It was so cool to see their encounters with the Lord,” Whitehead said. The conference, she said, draws the most faithful students, as well as those who are questioning and non-Catholics. It was the same conference that served as the turning point for Byrne, who attended as a Mount freshman.